imagesthai.com royalty-free stock images ,photos, illustrations, music and vectors - Vector nature background. 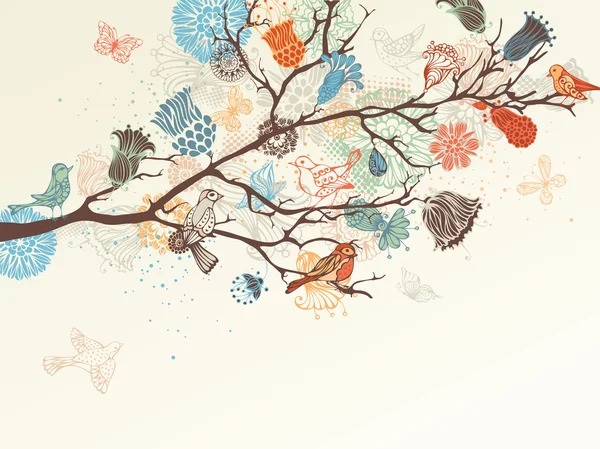 Ornate tree branch, flowers and birds background. There is place for your text.